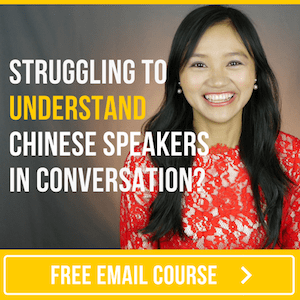 Let's say you have something interesting or important to tell someone (in Chinese). But, as you start talking, you notice that the person isn’t listening... Or maybe he/she questions whether you actually mean what you’re saying. Hey! Please listen to me carefully! wǒ jīn tiān wǎn shàng yào chū guó le. wǒ shì jiǎng zhēn de. I’m leaving the country tonight. I mean it! wǒ yào qù hán guó xué xí tái quán dào. wǒ shì rèn zhēn de. I’m going to learn Taekwondo in Korea. I'm serious. Damn! After arriving in Korea, I discovered that my passport was gone. I'm not kidding. hòu lái ya， wǒ yī hán guó péng yǒu sòng le wǒ yī tái Iphone 10. wǒ méi yǒu zài kāi wán xiào. Later on, one of my Korean friends gave me an Iphone 10. I'm not kidding. wā sài！ nà shì wǒ shōu dào guò zuì bàng de lǐ wù le！wǒ shì jiǎng zhēn de. Wow! That's the best gift I’ve ever received! I mean it! wǒ yǒu fēi cháng zhòng yào de shì qíng duì nǐ shuō. wǒ míng tiān jiù yào jié hūn le. wǒ shì rèn zhēn de. I'm getting married tomorrow! I'm serious.